More than $100,000 has been raised and MMG Insurance’s donation gives a sizable boost to fundraising efforts. 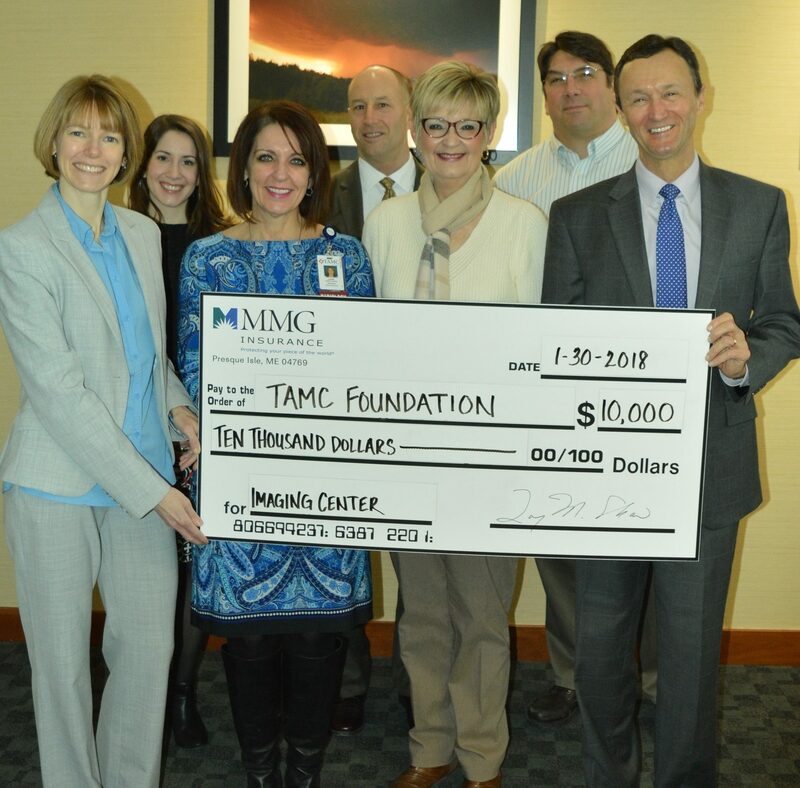 *Pictured (front row, from left): Hollie Gowen, TAMC; Dawn Poitras, TAMC; Lynn Lombard, TAMC and EMHS Trustee; Larry Shaw, MMG. Back row, from left): Laura Martin, MMG; Greg LaFrancois, TAMC; and Randy Bacon, TAMC.